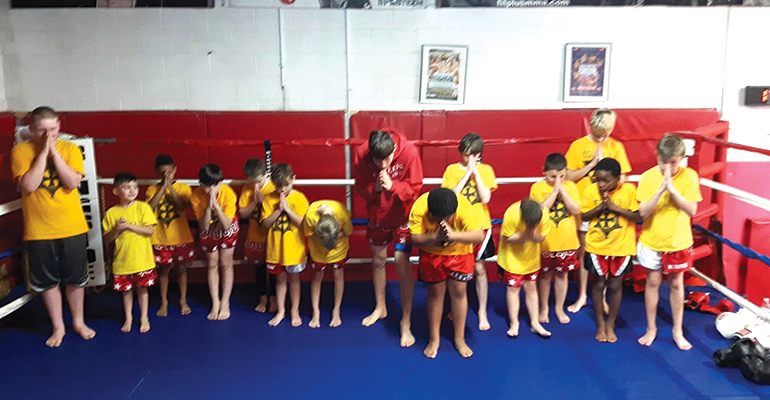 Our children’s martial arts program offers two of the world’s best martial arts – Brazilian Jiu Jitsu and Muay Thai Kickboxing. Our team of Fit Plus instructors provide top level instruction to kids of all ages and skill levels and will work with your child to help them reach their full potential. Brazilian Jiu Jitsu (BJJ) is a martial art focusing largely on grappling and ground fighting. It utilizes natural body leverage and proper technique to obtain dominant control on the ground. Not only does it teach them a form of self-defense, it also teaches many life lessons as well that a child can carry with them. 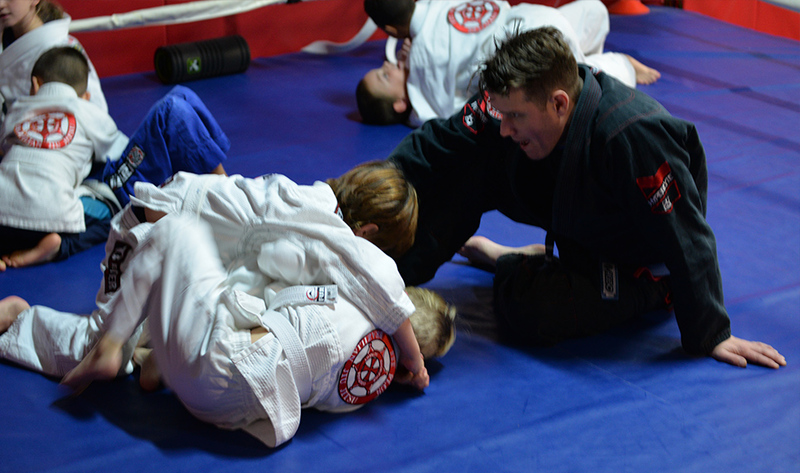 BJJ is one of the most practical martial arts you can put your child in. Also, because of the practicality of the sport the confidence they gain will not be a false one. 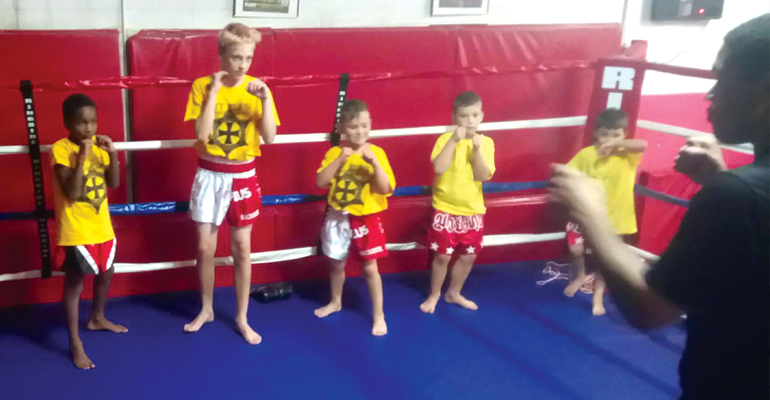 Our Muay Thai training programs offer kids a sturdy foundation in martial arts, leading to a well-rounded individual. The main goal of the programs is to equip your kid with life-skill through martial arts practice. The instructors combine self-defense techniques, physical education and cardiovascular conditioning to help improve your child’s coordination, agility, and motor skills. 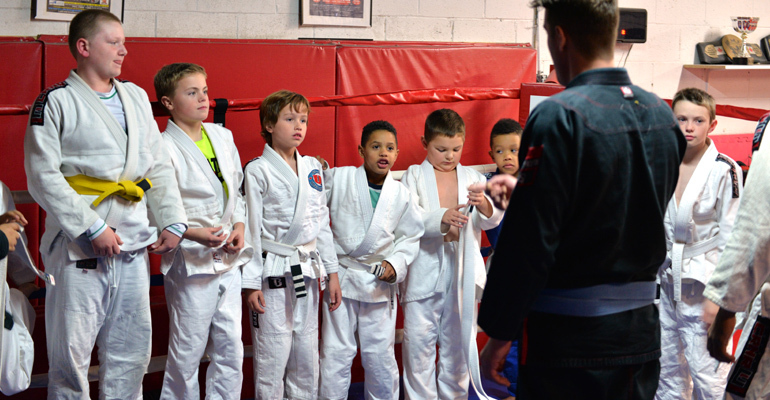 What are some advantages to training martial arts for kids? 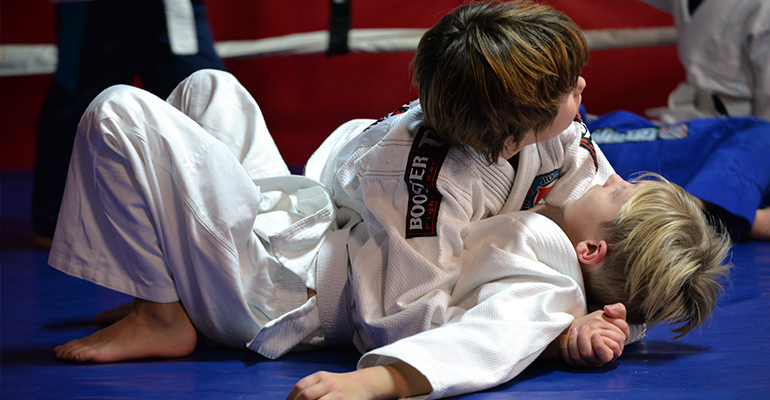 There are no better martial arts for self defense for your child than Brazilian Jiu Jitsu and Muay Thai Kickboxing. Brazilian Jiu-Jitsu and Muay Thai Kickboxing have been proven time and time again to contain some of the most practical self defence techniques. Your child will learn how to avoid, escape and if necessary defend themselves in dangerous situations. Sadly today, many Canadian kids are spending too much time in front of computers or video gaming consoles; and not getting the exercise they need to be healthy. With Fit Plus Martial Arts training, you can be assured that your child will receive a great work out that will keep them healthy and in shape. Your child will see improvements in cardio, flexibility, endurance and conditioning. With increased fitness and self defence awareness comes increased self esteem. We won’t let your child turn into a cocky bully, but they will gain a healthy self confidence. At Fit Plus, we feel if it isn’t fun, why bother. Our world class instructors genuinely care about our students progression and improvement of skills; but at the same time they are committed to making the training atmosphere fun and exciting. Are you interested in giving Fit Plus Kids Classes a try? Try us today – risk free! With a free, no obligation trial, there is no better chance to try our kids classes for yourself. And don’t feel intimidated if you have never trained in martial arts before. Our classes are segmented by experience level and intro classes are an excellent way to learn the fundamentals, regardless of age, gender, fitness level or experience. See for yourself why Fit Plus Martial Arts is the premier martial arts school in Atlantic Canada. For a no-obligation consultation and trial of this class, please fill out the following.